The RAC team comprises a unique group of experienced specialists from a wide range of agricultural and environmental backgrounds, with more than 450 years’ experience between them. This enables us to tailor our service to meet your needs. Peter is an agri-environmentalist, with a practical background in agricultural engineering gained through working for two major international suppliers of irrigation and pollution control equipment. Since joining Reading Agricultural Consultants in 1986 he has mainly been concerned with the impact of agriculture on the environment principally through livestock related development, waste management, spray irrigation, water supply and soil-water matters, latterly working on environmental research projects. He has presented expert evidence at Planning Hearings and Inquiries, and in the Magistrates, Crown, County and High Courts. He is a Chartered Environmentalist, a Director of Reading Agricultural Consultants and Director of RACEnvironment, past: Chair of the British Institute of Agricultural Consultants’ Environment Division; Chair of the National Farm Waste Management Register; and member of the Environment Agency’s Thames Regional Environmental Policy Advisory Committee. For 17 years until 2007, he was an elected Trustee and member of the Board of Management of the Berkshire, Buckinghamshire and Oxfordshire Wildlife Trust. With colleagues, he has undertaken research for the Environment Agency, UKWIR and Water UK into pollution prevention measures and the impact of intensive livestock production, pesticide use and land management on surface and groundwater. With RACEnvironment he has lead projects to identify the flow of materials and resources in the UK pig and poultry supply chains, funded by the Landfill Tax Credit Scheme. With RAC he has participated in catchment-scale projects to assess and influence the role of land management in water quality and flooding, making use of a range of metrics, and radar and optical imagery from remote sensing. In October 2017, he was appointed to the Agriculture, Environment and Animal Care Route Panel of the Institute for Apprenticeships, which is the independent employer-led body responsible for ensuring the high quality of apprenticeship standards and advising on funding levels on behalf of the Institute. Alastair is a Director and the Company Secretary of RAC. He has been in private practice for over thirty years and has considerable experience of managing and carrying out assessments of the impact of all types of developments on agriculture and soils, particularly major infrastructure projects (highways, high speed railways, strategic rail freight interchanges, airports and pipelines); mineral extraction and restoration; residential, industrial and commercial developments; renewable energy developments; and managed coastline retreat, flood protection and habitat creation schemes. He is commissioned by local planning authorities and by farmers and landowners throughout the country in relation to developments in the agricultural, horticultural, equestrian and other rural land use sectors. 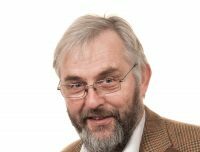 He has produced guidance and policy interpretation notes, provided training courses to local planning authorities on agricultural developments, drafted supplementary planning guidance, and prepared a guide for farmers on the planning issues involved in farm diversification proposals. He is responsible for managing the company’s soils, agricultural land classification and land restoration work, and provides advice on the restoration and aftercare of mineral sites, including the use of manufactured soils, and the design of new allotments. His agri-environment work has included preparation of agricultural land management plans for World Heritage Sites; the design of a Countryside Stewardship Special Project for medieval open strip fields; the impact of modern farming methods on English lowland landscapes; a study of de facto access to the countryside; evaluations of agri-environment schemes in England and Wales; advice on income foregone payments to farmers; and the application of ecosystem-based approaches to the management of protected areas. He has given expert evidence at over 100 public inquiries and hearings in relation to the impact of infrastructure and other developments on agricultural land and soils, and in relation to agricultural developments. Alex has been in private practice for 15 years specialising in Environmental Impact Assessment (EIA) and management of complex planning applications within the rural/agricultural sector. His planning experience not only relates to large, often controversial agricultural developments, but also includes other rural projects including: renewable energy schemes (0.5 to 1MW anaerobic digestion installation and 18MW photovoltaic); marinas; concrete batching; steel fabrication; composting and other waste development sites. In order to be successful, complex planning applications require all potential issues to be identified at an early stage to ensure relevant environmental sub-consultants can influence the design and reduce the potential resistance to a project throughout the planning application process. Planning applications, especially those which have been subject to EIA, require a high level of project management to ensure the timely delivery of the desired decision. His EIA experience has developed through providing specialist agricultural and soils topic input to large EIA Reports, including High Speed 2; numerous highways schemes; residential and commercial urban extensions; airport expansion; golf courses; mineral extraction; and habitat creation schemes. He has also extensive experience of the EIA regulations for agricultural developments through advising clients on the requirements of the regulations in terms of a proposed development, and coordinating the EIA report to accompany any subsequent planning application. Agricultural, forestry and soils impact assessment;• Environmental Impact Assessment. Peter has a BSc (Hons) degree in Agriculture from the University of Reading. 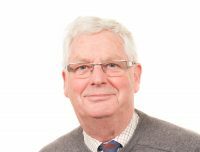 Following employment as a Research Officer in the Department of Agriculture at the University of Reading, he has been in private practice since 1991 with Reading Agricultural Consultants. He is a practical agriculturalist with his own farm and a strong background in land use planning matters. He has considerable experience of assessing the impact of developments on soils and agriculture as part of multi-disciplinary teams on over twenty highway schemes; various airport development schemes; and other infrastructure projects. He has been heavily involved in the High Speed (HS2) rail project since 2012. These projects have required interviewing affected farmers and assessing the likely impact of development on farms; and proposing and designing mitigation and accommodation works. Another area of speciality is the preparation of planning applications for agricultural development. 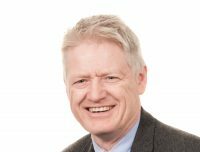 He has considerable experience in the preparation of appraisals for agricultural workers’ dwellings both acting for farmer-clients and local authorities; he has appeared at numerous Planning Inquiries and Informal Hearings to give expert evidence. Sophie is a soil surveyor and scientist with experience of assessing soil and land quality across England and Wales. As well as Agricultural Land Classification reports, she has tailored assessments for inclusion in ES Chapters, restoration progress reports and contaminated land investigations. Sophie is a member of the British Land Reclamation Society. Her independent research has considered the impacts of farming practices on soil compaction and subsequent greenhouse gas emission, and in a separate project, the behaviour and ecotoxicity of ionic and nanoparticulate zinc in the soil environment. 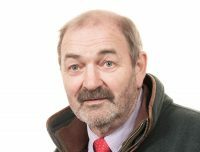 Howard has over 40 years’ experience of the competing interests in the countryside, drawn from a research background in land resource evaluation, some 13 years’ service as a senior officer of the National Farmers Union, and from private consultancy involving a wide range of rural planning and environmental issues. He has worked extensively with public and private interests in commissions concerning the assessment of the impact of urban developments and infrastructure proposals on agricultural and other rural resources; rural projects related to the development of the rural economy and conservation and recreational initiatives, and the appraisal of related policy frameworks; and individual agricultural and rural planning proposals, principally relating to commercial and residential developments in the countryside. He has extensive experience as an expert witness, having given evidence at over 150 public inquiries and planning hearings. Ieuan is an agriculturalist and environmentalist with twenty-six years experience in practical agriculture, twenty-three of which have been spent in a managerial position on the family farm. He now owns and runs his own beef and sheep farm alongside his consultancy work. He has gained much experience working in a wide range of systems. 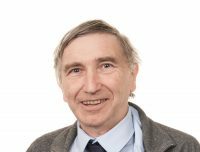 His knowledge was enhanced through the completion of a Masters Degree in Environmental Management at the University of Wales and he sits on the examination panel of the Institute of Environmental Management and Assessment and lectures at workshops for prospective candidates for the Associate Open Book Examinations. He commenced rural land use and planning consultancy with Reading Agricultural Consultants in 2006. 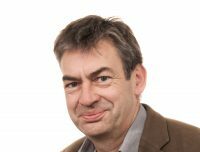 Ieuan is now routinely retained as a specialist agricultural planning consultant by seven Local Planning Authorities plus others on an ad hoc basis and has provided expert evidence at Inquiries and the Crown Court for a range of clients. 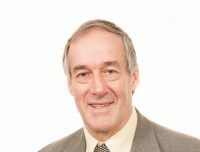 Through his farm work and NFU associations he has gained considerable knowledge and experience of agri-environment schemes, particularly in Wales; Single Payment applications (formerly IACS); and farm diversification issues. He is also gaining experience in assessing the impact of major developments on agriculture and has successfully completed assessments of proposed housing, roads and pipeline development. Alan qualified with a BSc (Hons) in Animal Husbandry and has a practical background in agriculture gained through working as a farm manager on a large Government research establishment, industry bodies and government departments. He has experience across a wide range of livestock species: dairy and beef cattle, sheep, pigs, goats, poultry and horses; as well as specialist knowledge of livestock breeding, feeding, management, grassland management, animal behaviour and welfare programmes. 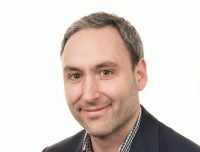 Since joining Reading Agricultural Consultants in 2000 he has been involved with a wide variety of clients including farm animal housing, business plans and agricultural appraisals, quantum and validation of claims for cattle, pigs, sheep and goats, quantum and validation of claims for accidents at work and bio security programmes. Harry Day specialises in soils, agronomy and the environment. He holds a BASIS Certificate in Crop Protection in field vegetables and is a Member of the BASIS Professional Register, a legal requirement for those selling, supplying or advising on pesticides. Harry holds FACTS Qualified Fertiliser Advisor (FQA) status. Harry has carried out work for loss adjusters and insurance companies to investigate the causation of yield reduction due to herbicide damage and pest and disease, in a wide variety of crops including field vegetables, cereals and soft fruit. He has carried out analyses of agronomic records, collection of field data, interpretation of pesticide residue analyses and quantification of losses. Harry has carried out Agricultural Land Classification (ALC) and soil resource surveys across more than 1,000ha of land for large infrastructure projects, including high speed rail. He has carried out multiple research projects in the agriculture-environment arena, including catchment management to reduce and predict agricultural pollution. Harry has researched trends in agricultural technology and how they might affect potential future changes in risks to drinking water. Harry has made successful licence applications to regulators for permitted activities, including: water abstraction; intensive livestock farming; and anaerobic digestion. He has experience carrying out groundwater source investigations. 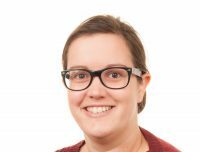 Charity is a soil surveyor and scientist with experience of assessing soil and land quality across England and Wales, producing Agricultural Land Classification reports. Charity is an Associate Member of the British Society of Soil Science (BSSS). She has experience in the horticultural sector from assisting the running of her family’s market gardening nursery. 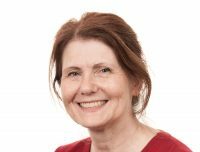 She has undertaken research to assess the impact of onshore shale gas drilling on the energy production in the UK, assessing the environmental, social and economic factors. Simon is a consultant in agriculture and land use, with his primary skillsets in the strategic, operational and financial management aspects of agribusiness. He is proficient in assessing infrastructure and efficiency capabilities, and investigating opportunities for growth and development, inclusive of policy, diversification and cross-compliance. He has worked in Australia, New Zealand and Sweden, undertaken study tours to Israel, South Africa, Namibia and Croatia, and has been in private practice since 2010 in the UK, managing and consulting on a variety of businesses across all rural industry sectors. He is a Member of the Institute of Agricultural Management, and attended the Institute’s Leadership Development Programme in 2016. He has submitted multiple successful applications for RDPE funding, and has carried out assessments on behalf of the Agriculture and Horticulture Development Board (AHDB) relating to Economic Consultancy and to Risk Management and Business Planning. He has provided expertise in assessing the impacts of developments on soils & agriculture as part of multi-disciplinary teams, including consultations on Local Development Orders and an ongoing involvement with HS2 Phase 2A and 2B. 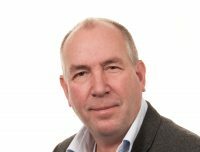 Simon has presented at various national conferences and events, including the Cereals Event, Livestock Event, and the Farm Innovation Show. 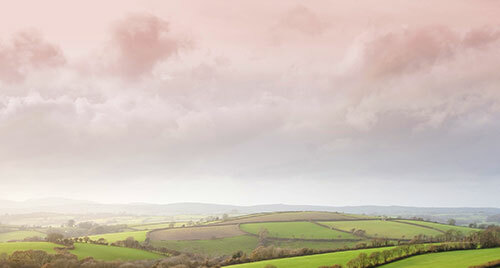 Rural Planning – agricultural, equestrian and residential developments and appraisals. 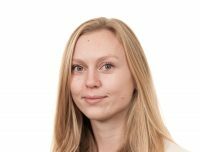 Olivia has worked in private and public practice since graduating, specialising in rural planning and policy. 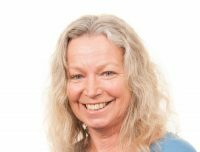 Her experience over the last seven years of private and public practice has seen her work across a variety of agricultural and rural land-uses including livestock units, arable, equestrian, agricultural, residential and commercial property management as forms of diversification, and Local Plan policy writing. She is regularly engaged by farmers, rural businesses and local planning authorities to appraise a wide range of rural enterprises and to assist with planning applications. Louise Morcom graduated from The Royal Agricultural University in 2015 with a BSc Honours degree in Agricultural Management. In her final year at University she specialised in the business management and diversification of a wide range of farms, spanning large commercial dairy enterprises to smaller arable businesses. Part of her final research project involved the development of improved Corporate Social Responsibility protocols, enabling a better understanding of the issues facing agricultural businesses, from both a governmental and business standpoint. 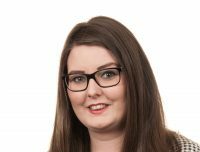 Following graduation Louise spent a year working as a planning consultant for a specialist rural planning agency. Whilst working here she gained experience working on a range of projects, from large commercial livestock enterprises, to equestrian businesses and smaller private projects. 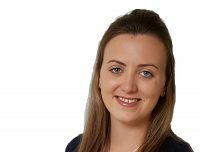 Working alongside other consultants and members of the team, Louise also gained experience working on a variety of renewable energy, infrastructure and commercial residential development projects. Louise joined RAC in June 2017 following a year out spent travelling. Alex Mitchell graduated from Cardiff University in 2016 with a BSc Honours Degree in Geology. Following graduation, Alex spent a year travelling during which he spent five months working in Tasmania on a mixed arable and pastoral farm carrying out jobs including tractor work, fencing and cattle management.Before joining RAC Alex worked for Hydro-GIS consultants undertaking hydrological surveying on environmental and insurance claims. Whilst at Hydro-GIS Alex worked on two separate large-scale projects focused on the hydrology of Norway and Myanmar collecting flood data and producing GIS models based on the current water storage systems.Alex is currently working as a soil surveyor assessing soils and agricultural land quality across England and Wales building on knowledge gained from university modules geomorphology and sedimentary geology. 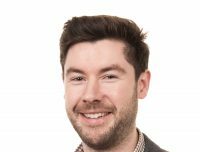 Furthermore, Alex has also been working on farm impact assessments, environmental statements and AutoCAD design drawings for many private and large-scale projects. Please fill in the fields below and send us your enquiry.